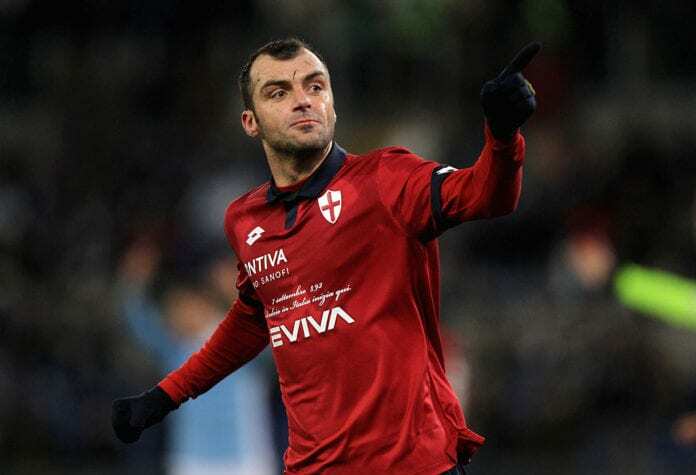 It is time to talk about Goran Pandev, the Macedonian forward who ended Juventus’ unbeaten run in Serie A.
Goran Pandev was the key man in Genoa’s 2-0 win over Juventus on Sunday. He provided the assist for Sturaro’s opener in the 72nd minute of the game and sealed the victory nine minutes later with a stunning finish in the right bottom corner. It was only his third league goal for the season, but his excellent performance showed that there is still football in the 35-year old striker. 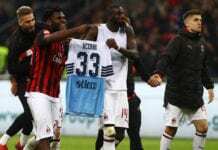 The Macedonian has enjoyed a successful career in Serie A, which started at Lazio in 2004. Pandev announced himself on the big stage with his brace against Real Madrid, securing a 2-2 draw for the Biancocelesti in a 2007-08 Champions League group stage game. He also scored in the reverse fixture, but Los Blancos won the game 3-1. The striker won the 2009 Coppa Italia with Lazio, scoring 6 goals and finishing the campaign as the top scorer in the competition. His best years came at Inter, as he was an integral part of Jose Mourinho’s side which won the Treble in 2010. He won the FIFA Club World Cup later that year, scoring the opening goal for the Nerazzurri in the final against Mazembe. Pandev won the Coppa Italia four more times in the period between 2010 and 2014 – twice with each Inter and Napoli. Hs 5 cup trophies have placed him joint third on the all-time winners’ list, alongside legends like Gianni Rivera and Gianluigi Buffon. He joined Genoa in 2015 and is currently playing his fourth season with the club. Pandev has lost his place in the first team this season but given the fact that he is 35-years old that is completely understandable. However, in our opinion, the veteran striker is not done yet. He is the captain of Macedonian’s national team and the all-time leading goalscorer with 33 goals by his name. The Strumica-born forward captained his country to the first-place in their Nations League group, scoring twice and providing three assists in the process. Macedonia will have a unique chance to qualify for their first European Championship in March 2020. 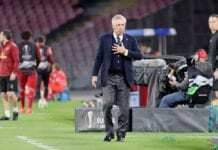 They face neighbours Kosovo in the semi-finals of the UEFA Nations League D play-offs, and with a potential victory will play against either Georgia or Belarus for their place in the 2020 UEFA Euro. And this is the biggest reason why Goran Pandev doesn’t even need to think about retiring at the end of the season. His contract with Genoa is expiring in three months, but the Macedonian hopes to get an extension in the coming weeks. The striker has done well in the game and captaining his country on their first-ever appearance at a major tournament would be a perfect end to his amazing career in football.